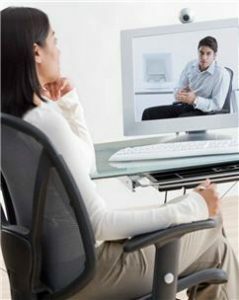 As a therapist, we enable you to provide professional, secure and convenient online therapy. Get started today with what many in the industry consider the very best, easiest-to-use online therapy. To get started, all that you need is an Internet connection. You can work from home, from your office or even from your smartphone. Click here to contact us today, or just give us a call at 1-888-741-4070. We’ll provide everything that you need, with absolutely no obligation on your part.